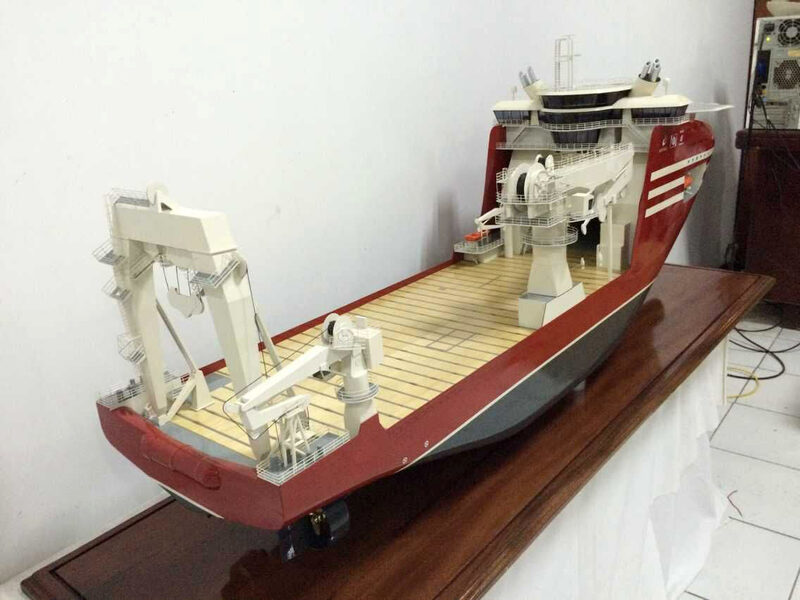 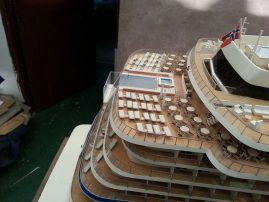 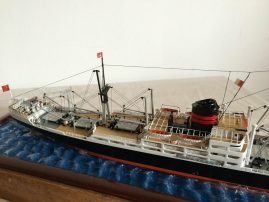 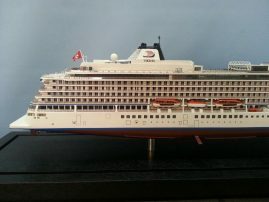 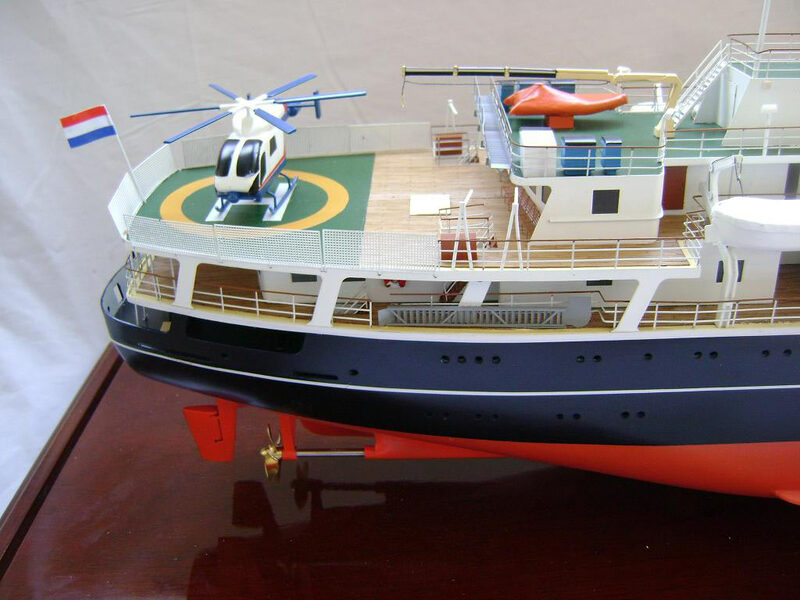 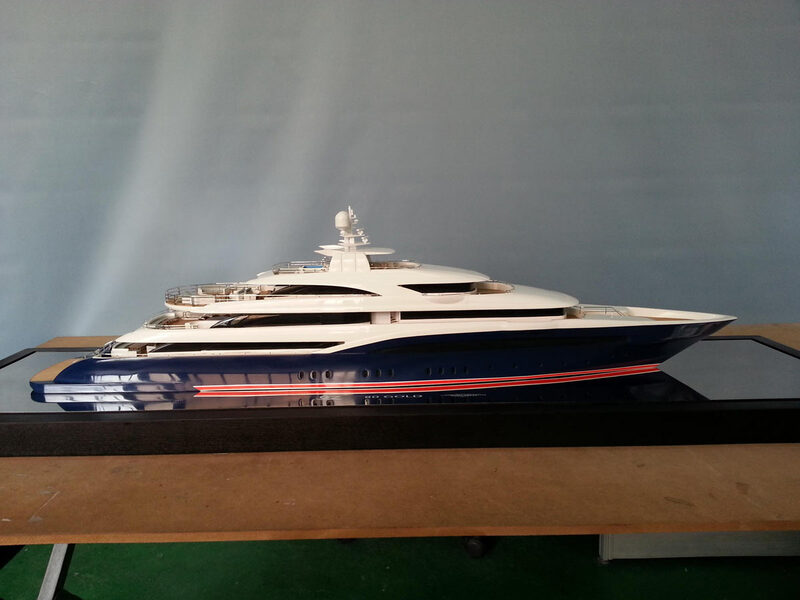 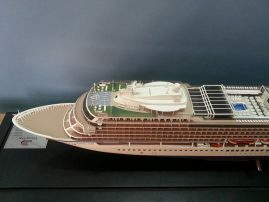 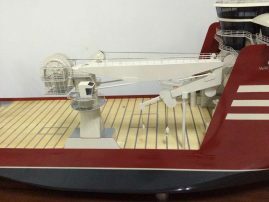 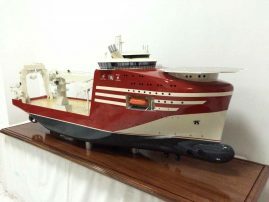 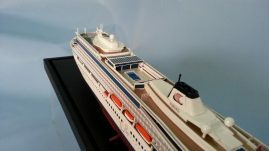 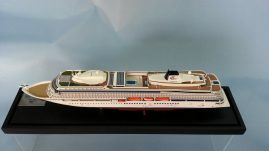 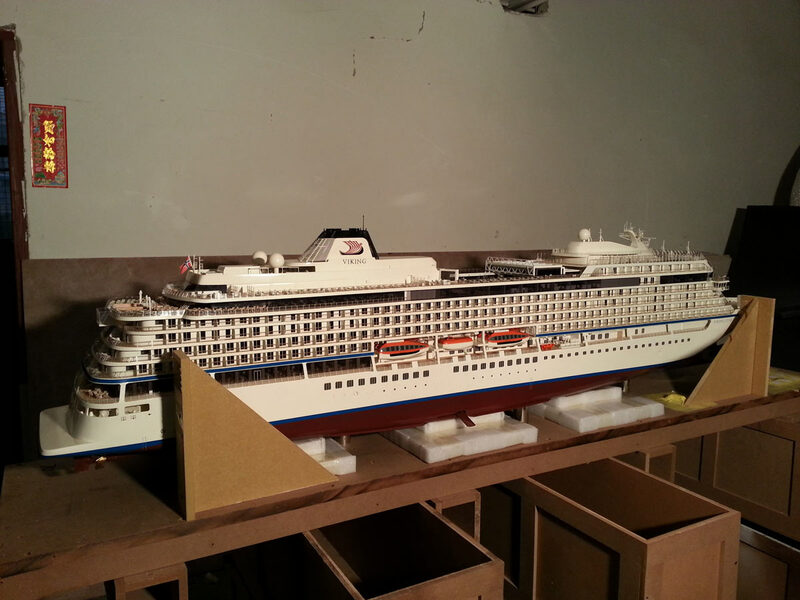 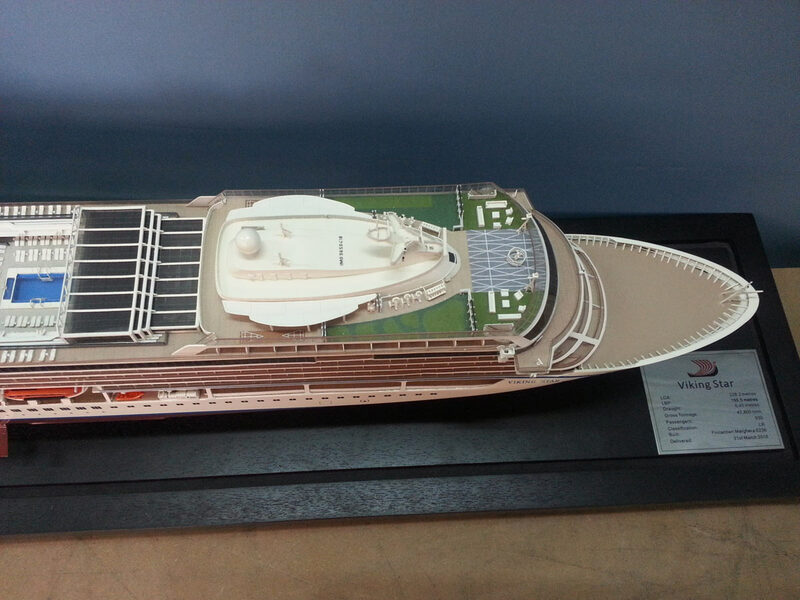 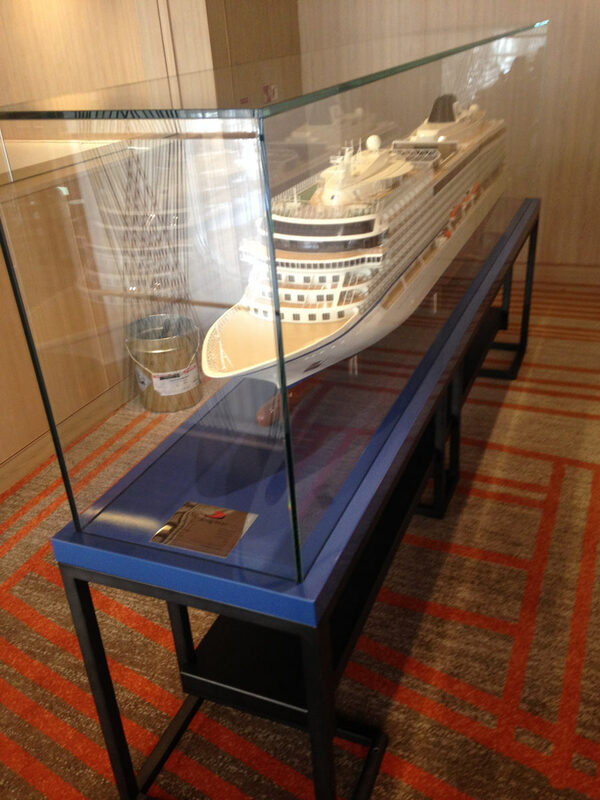 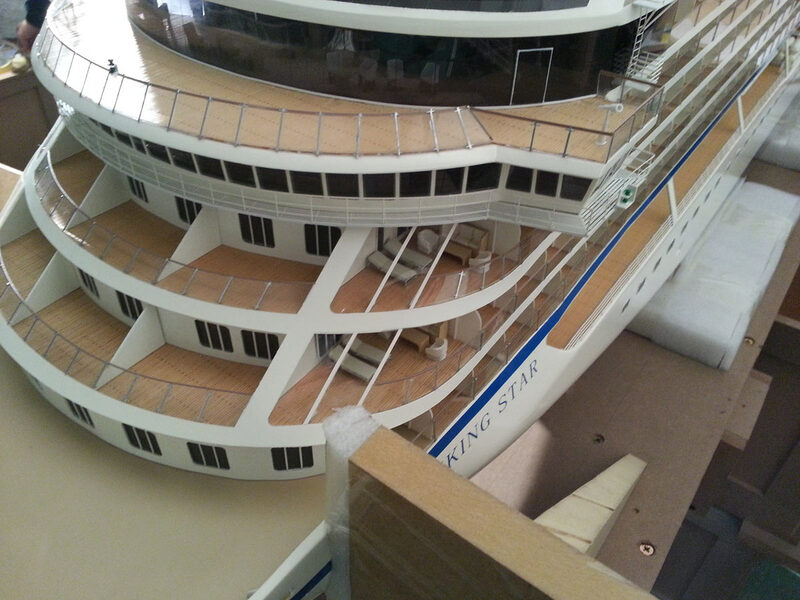 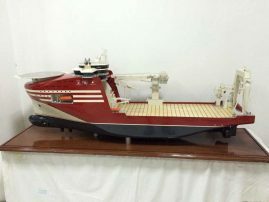 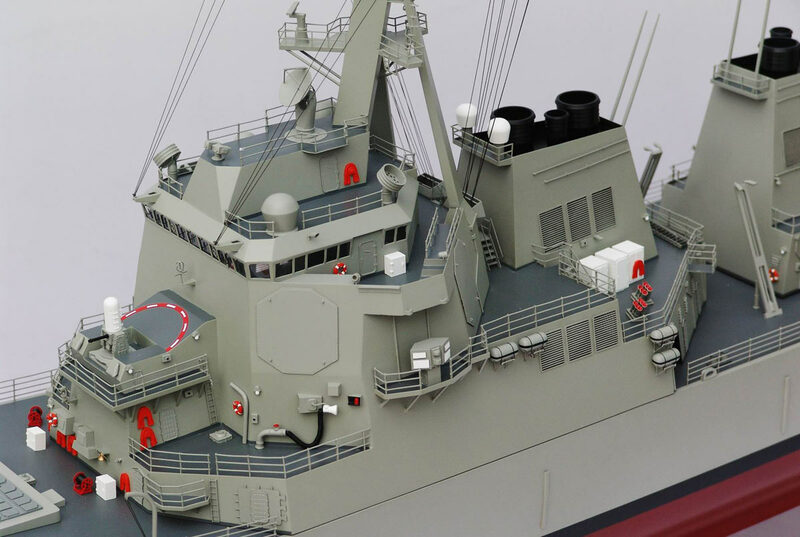 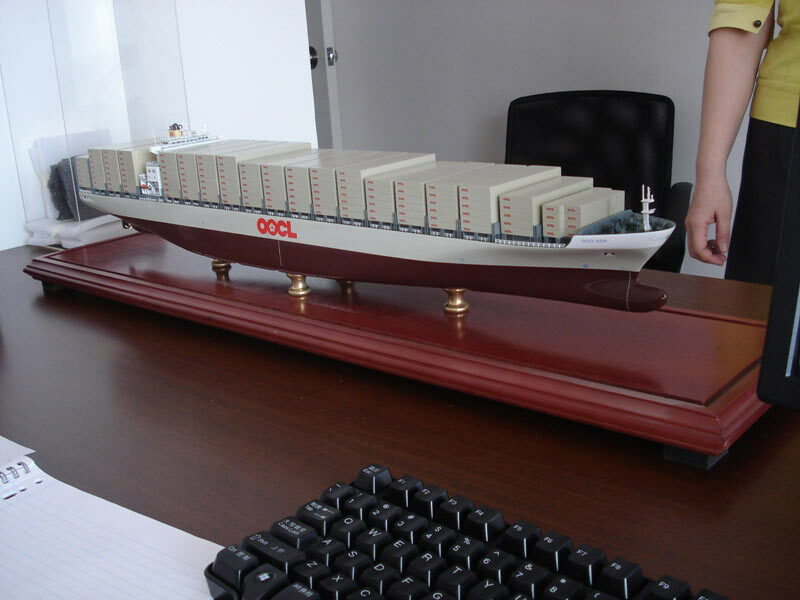 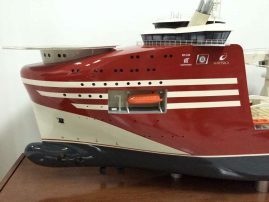 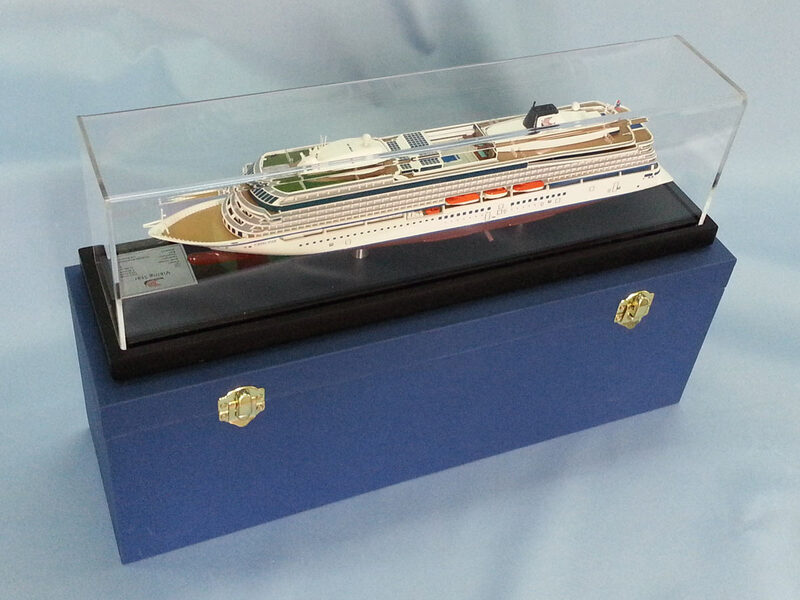 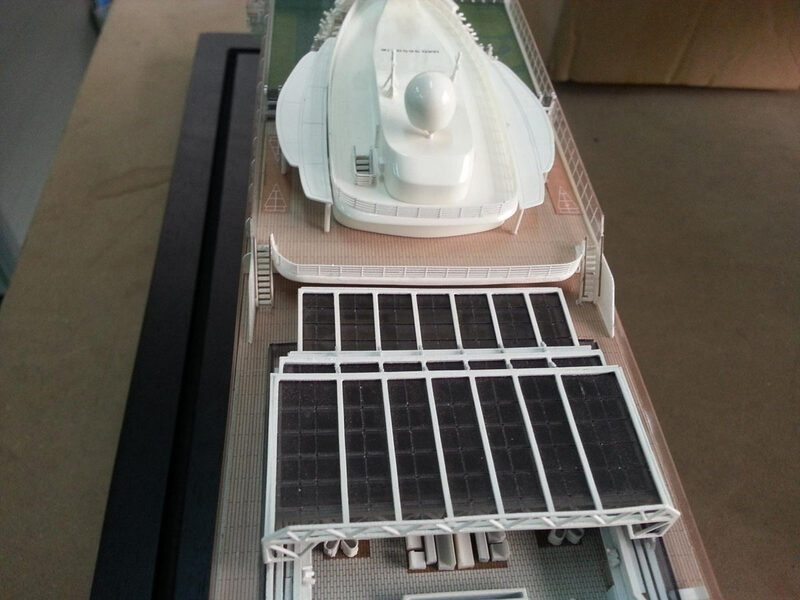 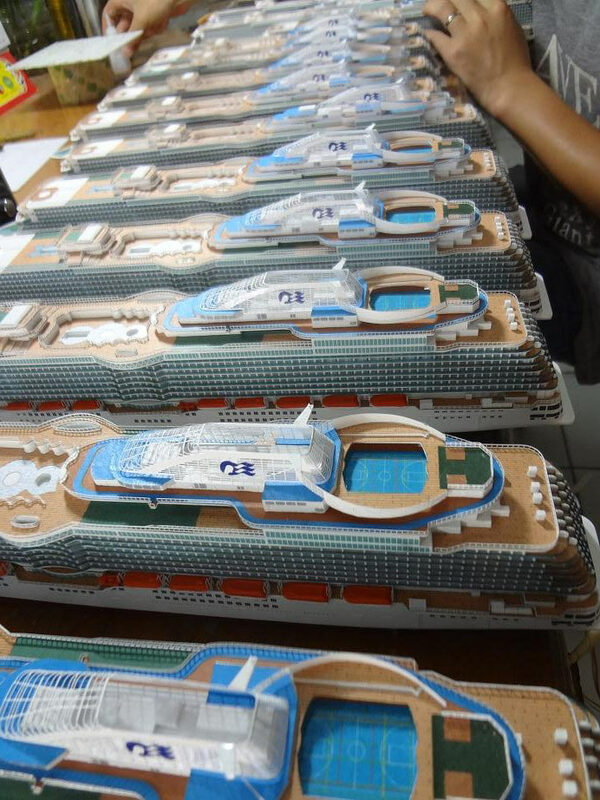 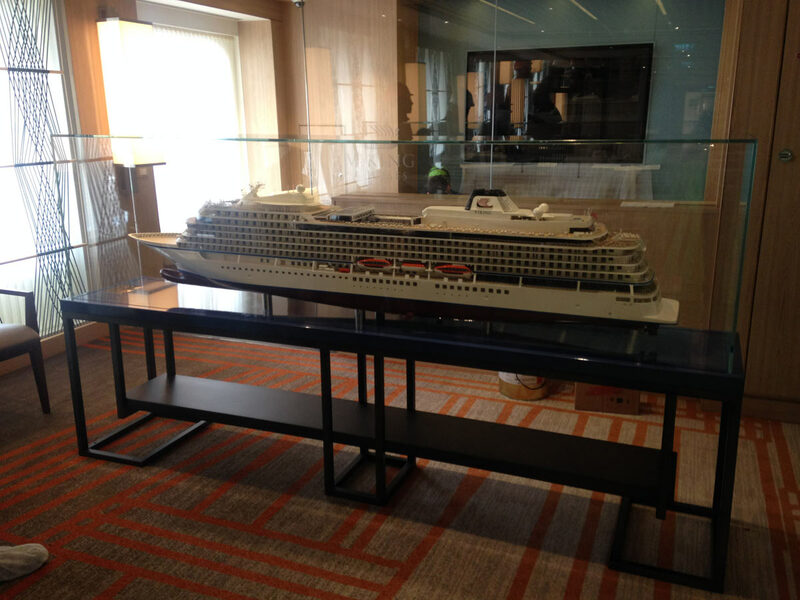 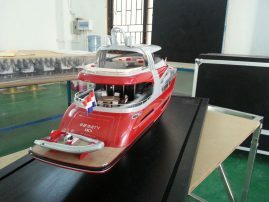 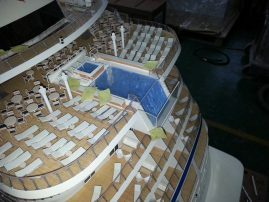 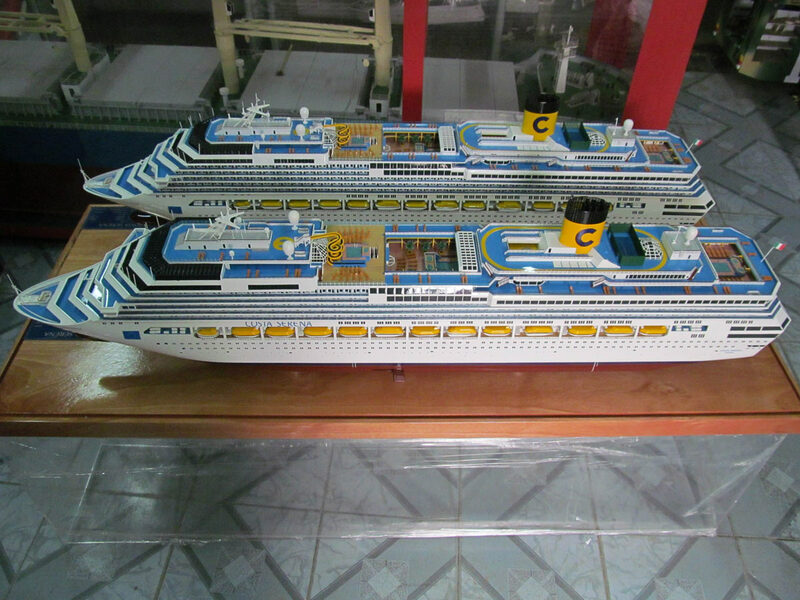 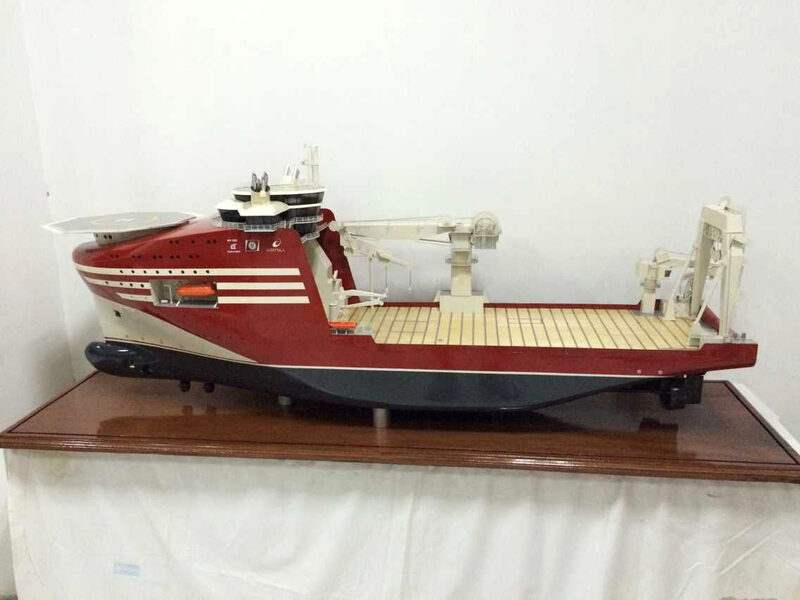 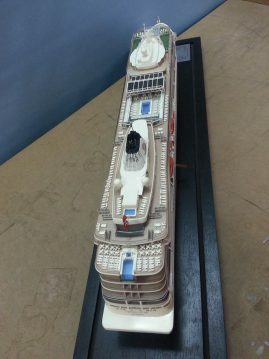 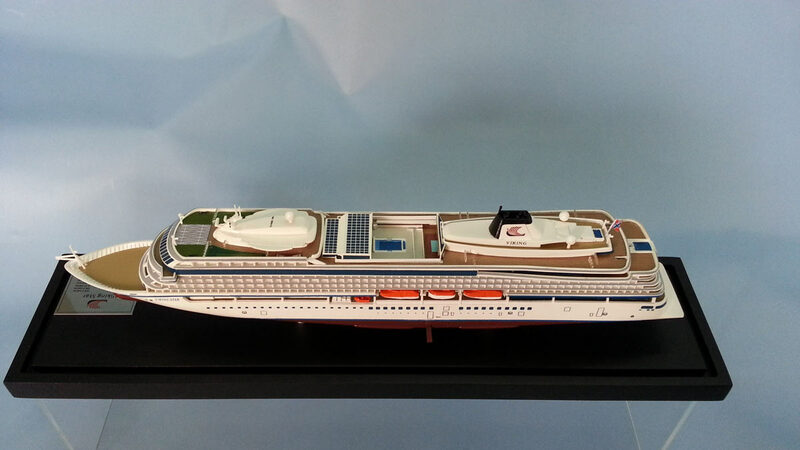 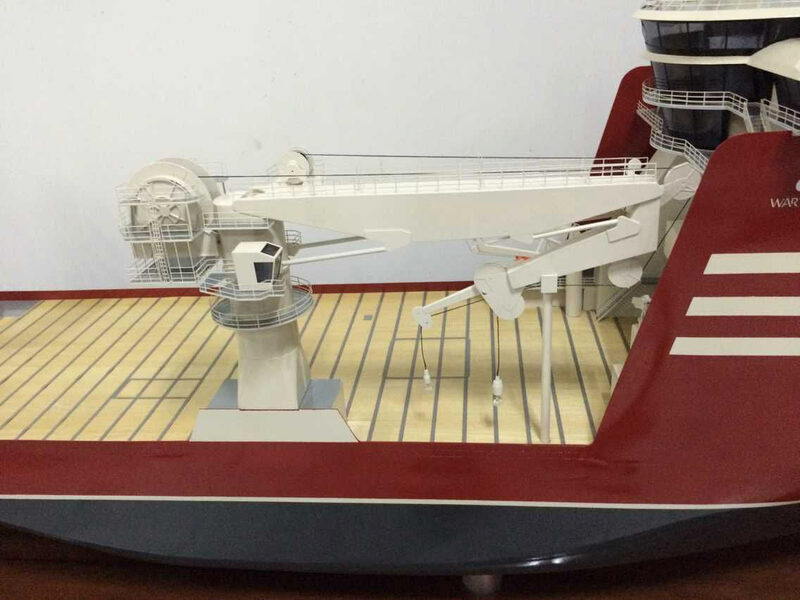 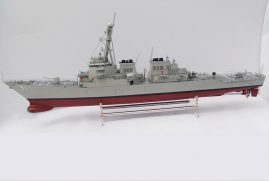 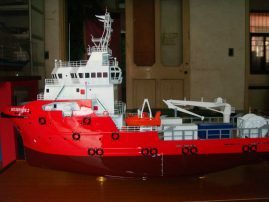 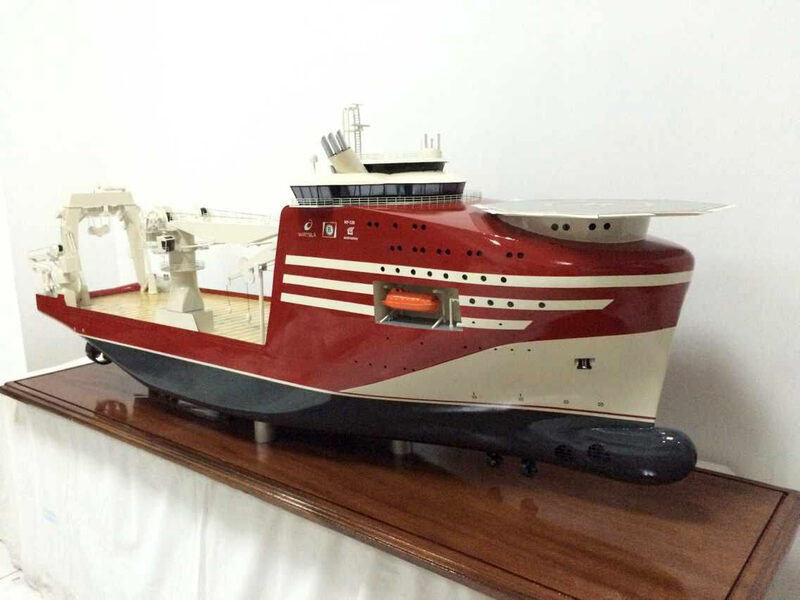 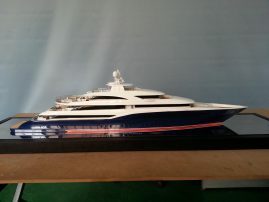 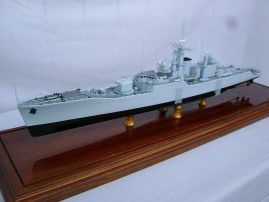 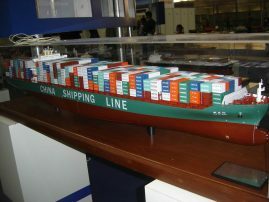 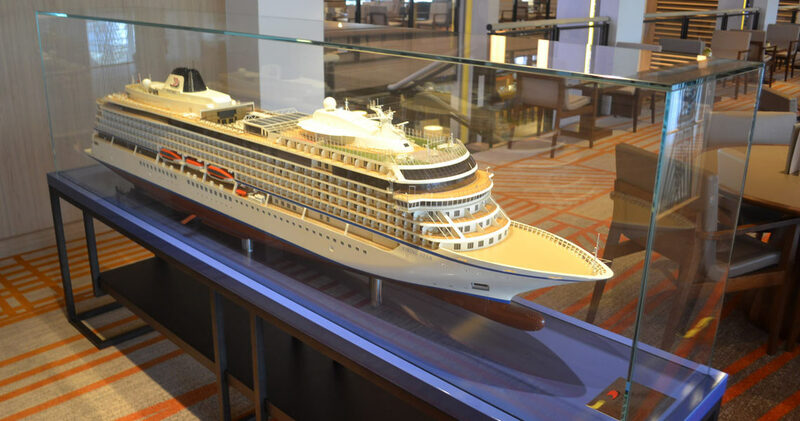 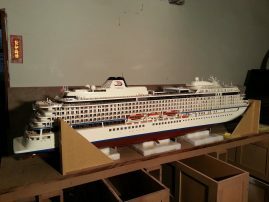 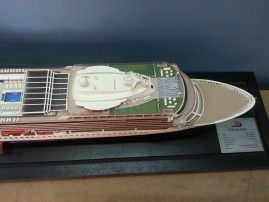 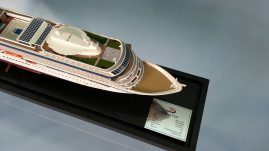 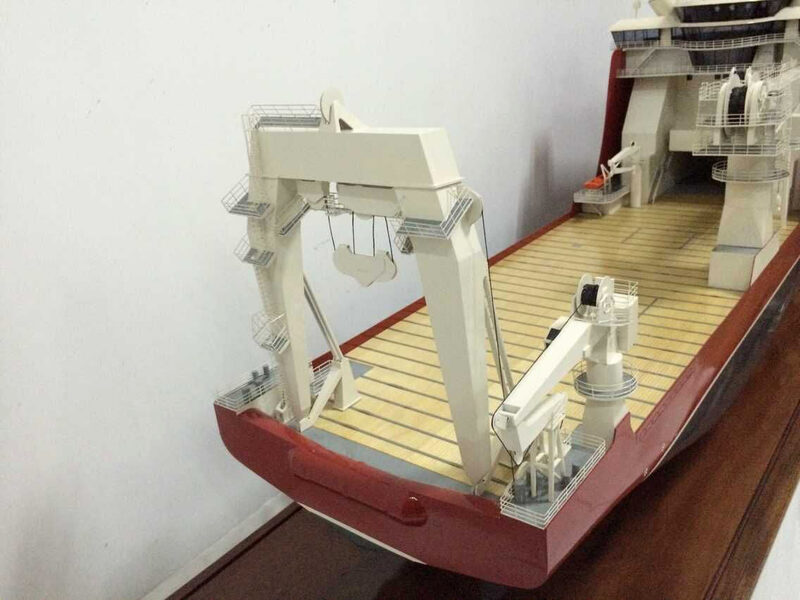 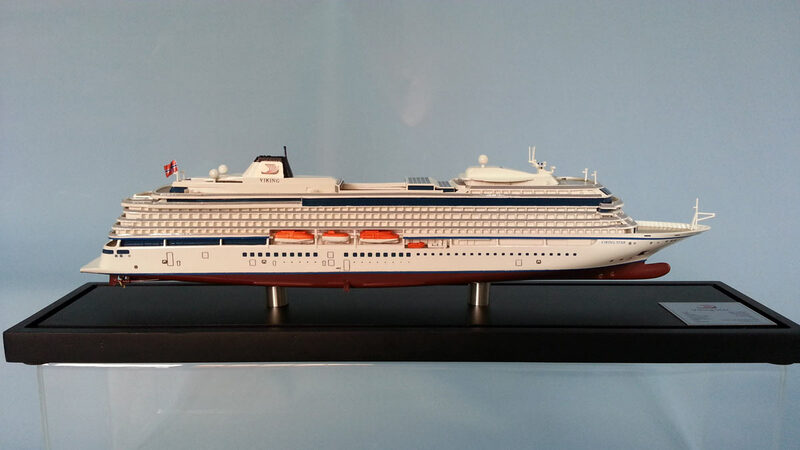 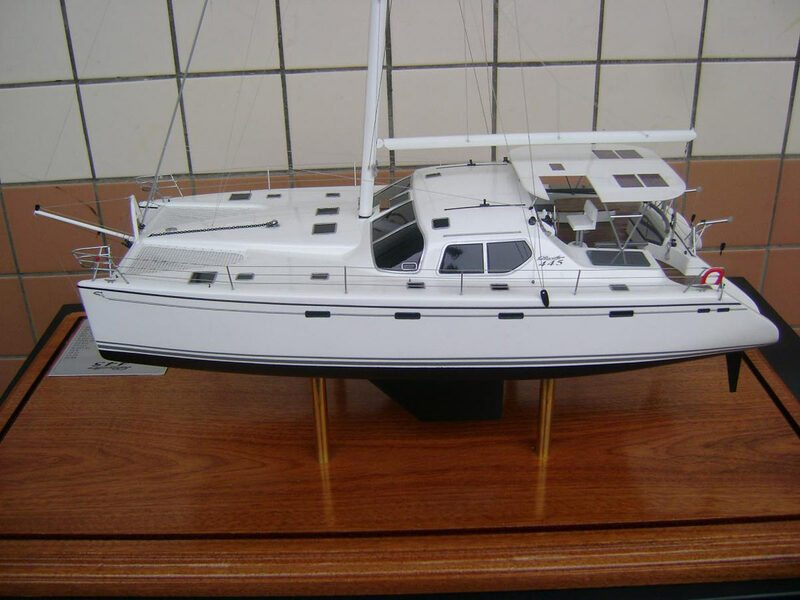 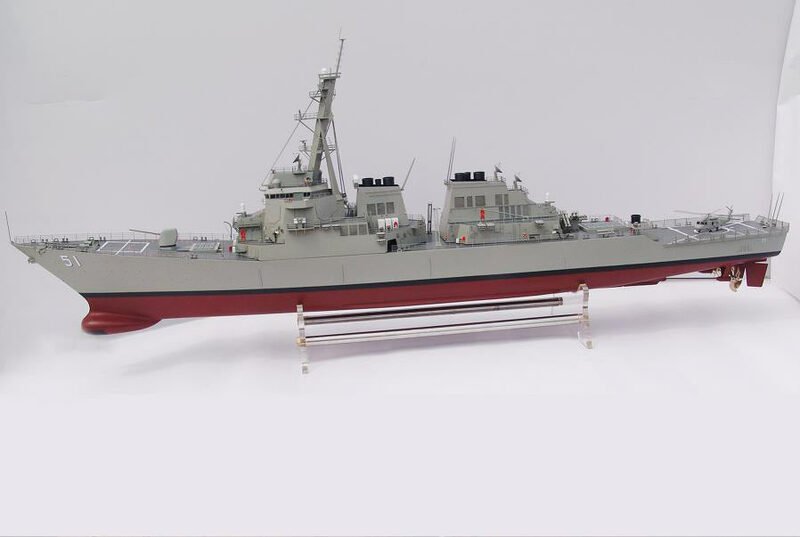 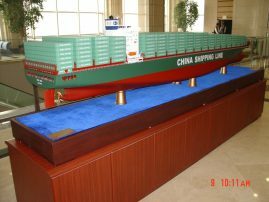 1:100 Scale Viking Star model (Length: 228.2cm). 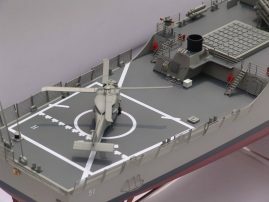 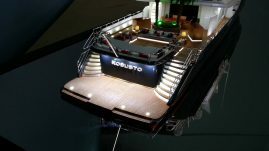 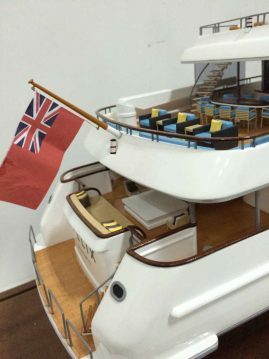 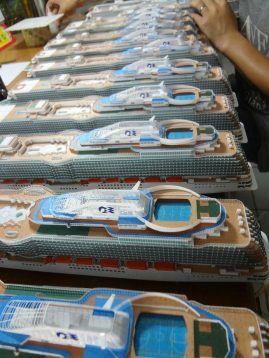 Including fully detailed interior to all decks. 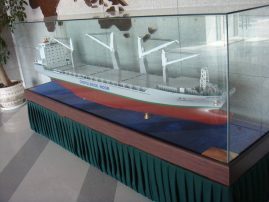 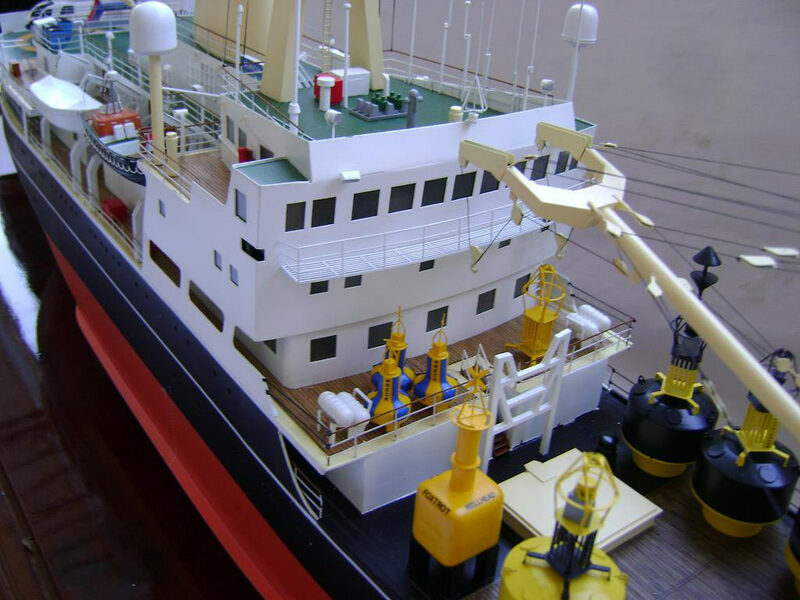 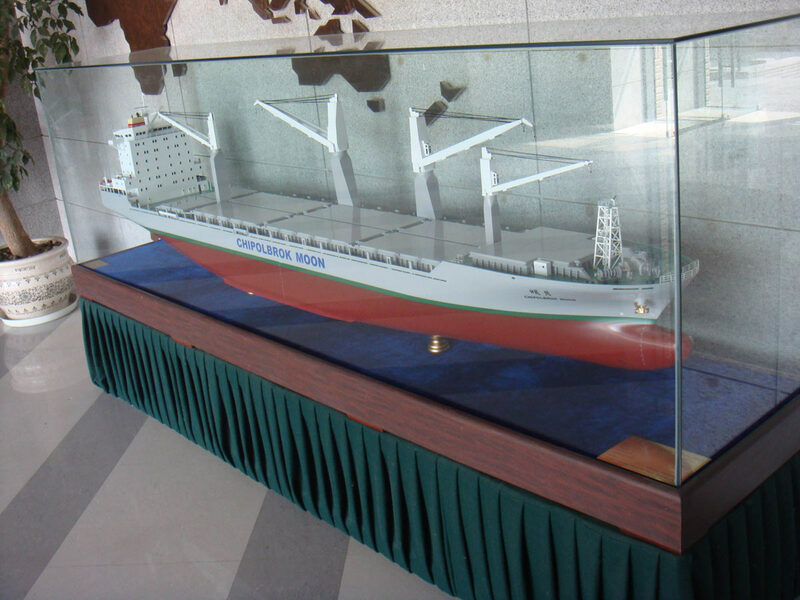 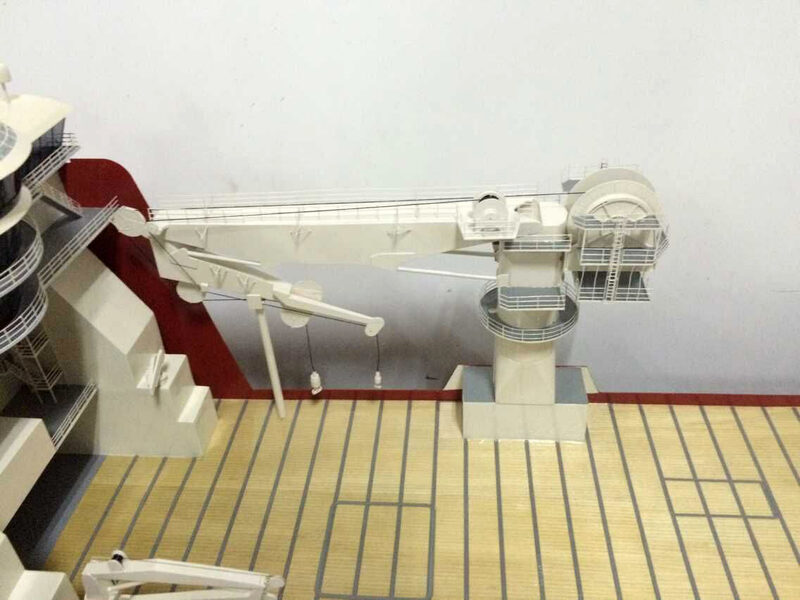 The model is on display in the atrium of the real ship. 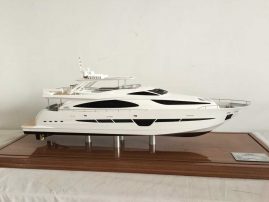 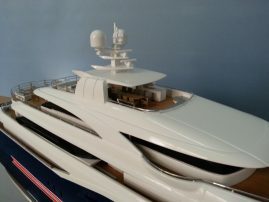 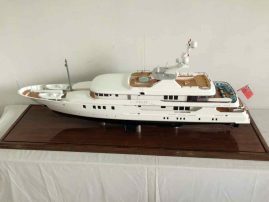 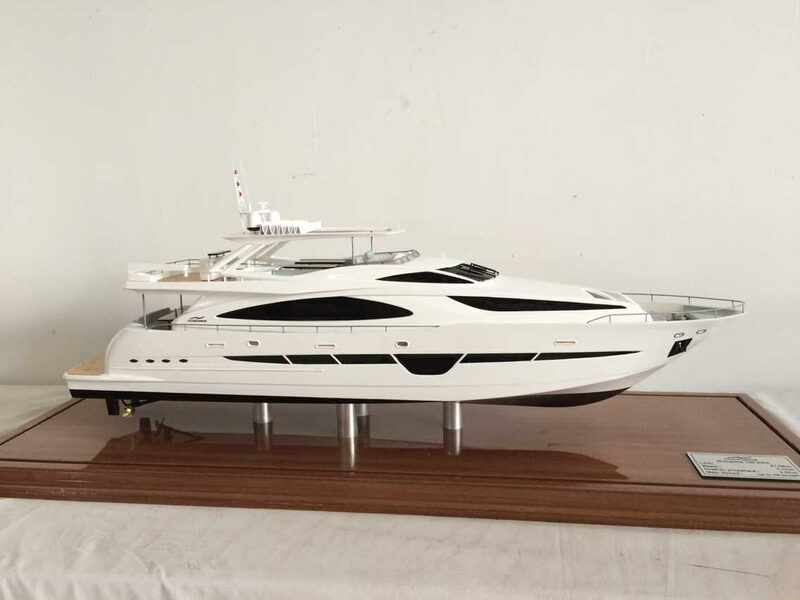 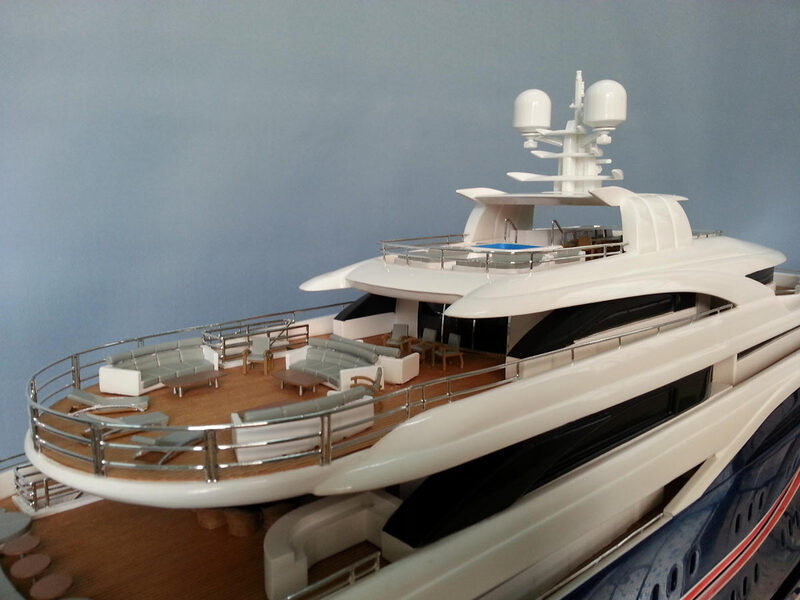 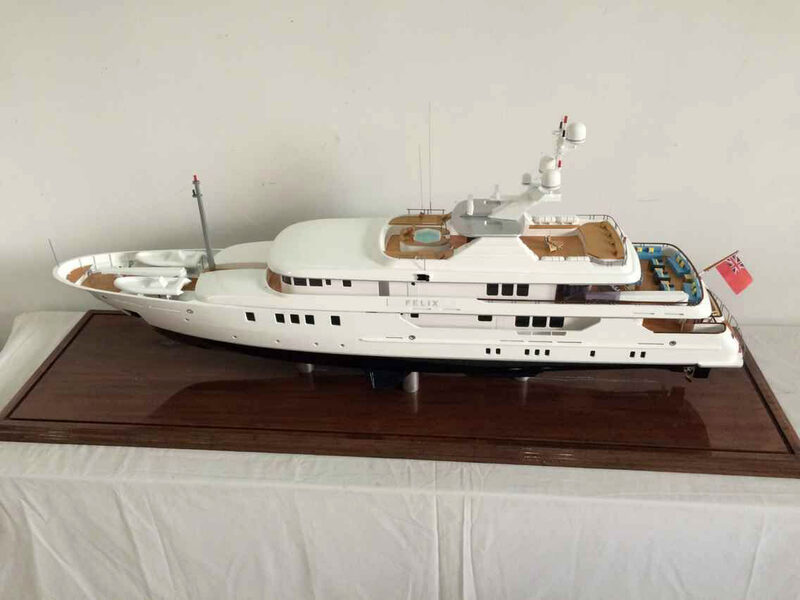 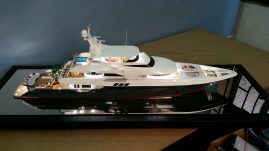 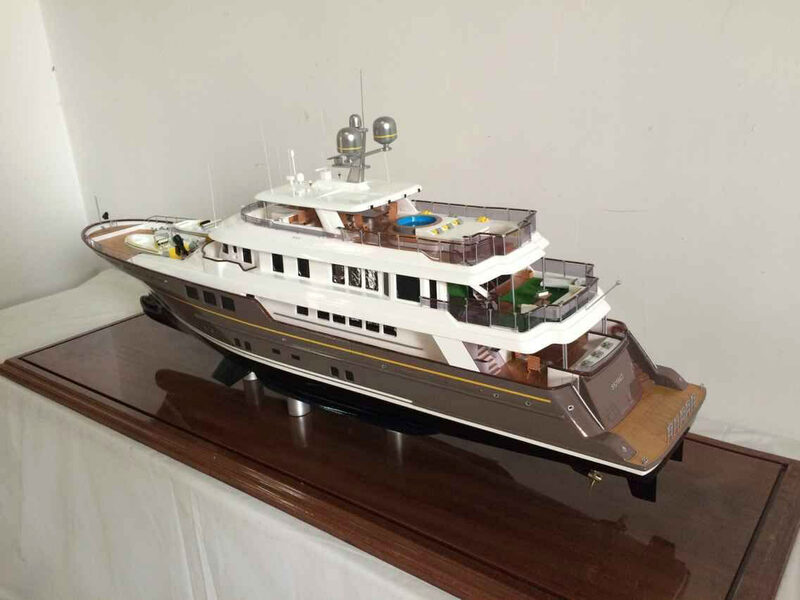 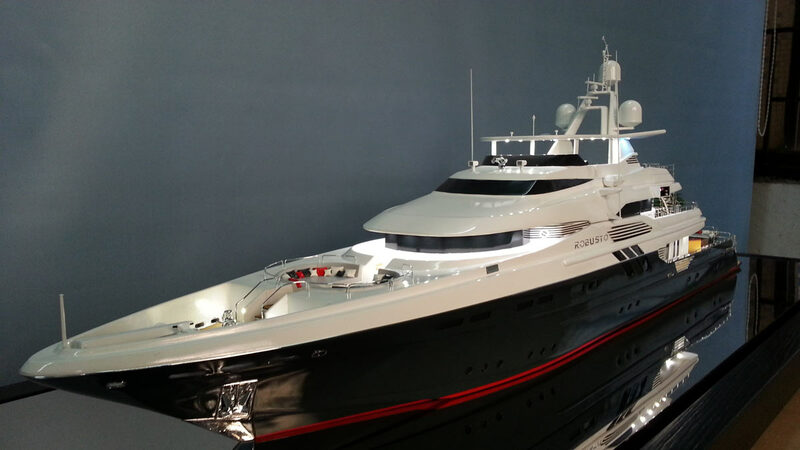 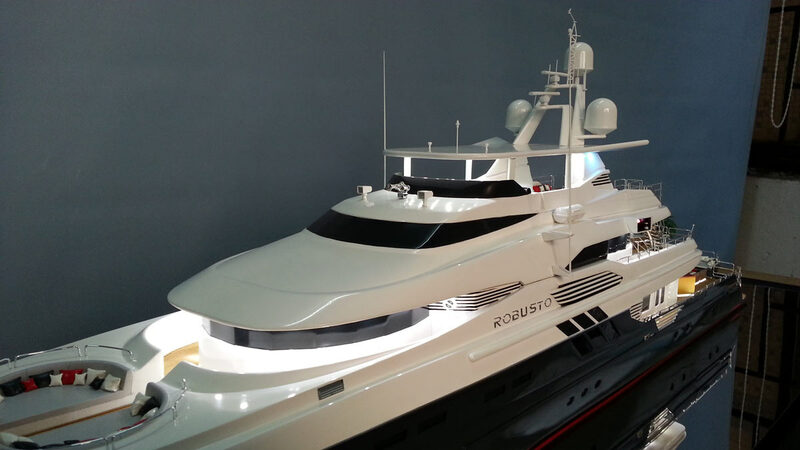 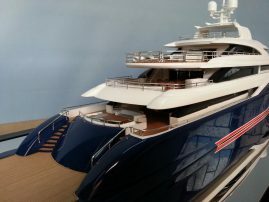 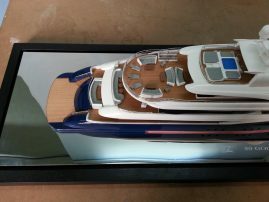 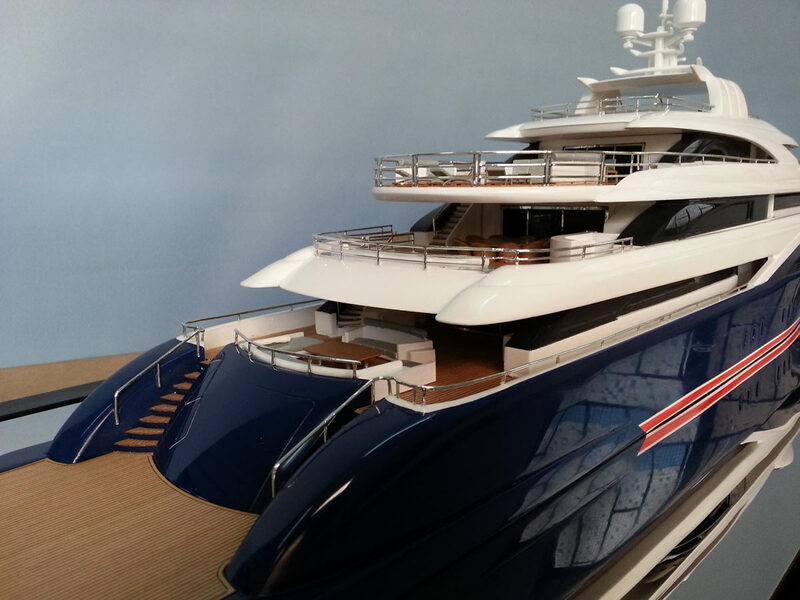 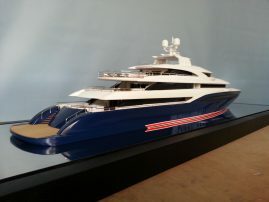 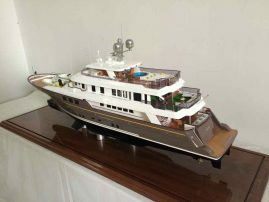 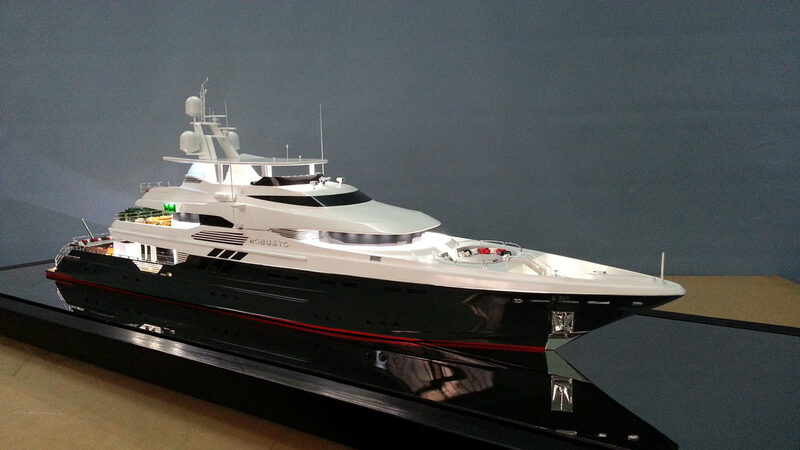 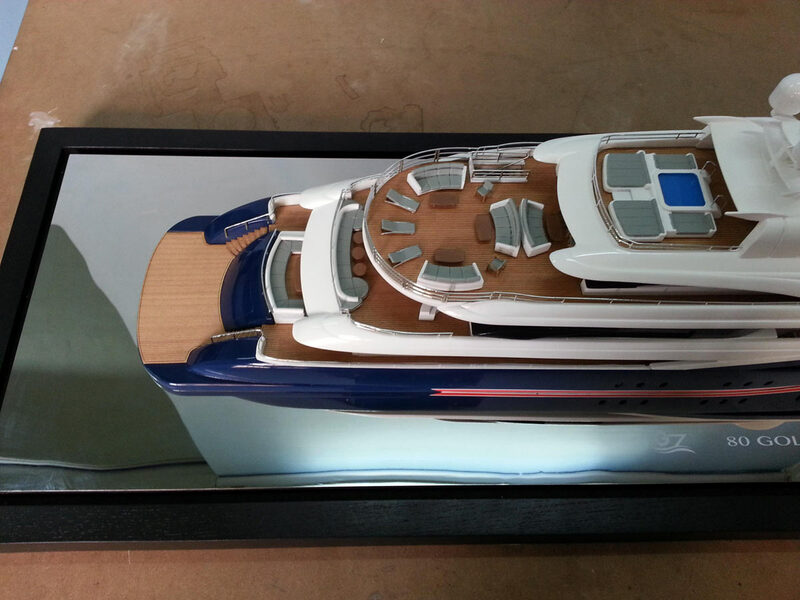 1:50 Scale M/Y Robusto SuperYacht. 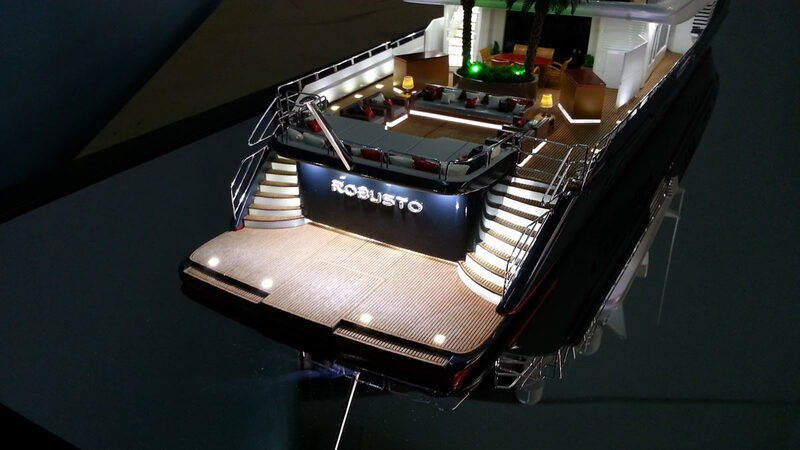 Including fully detailed and accurate exterior lighting with dimmer switch. 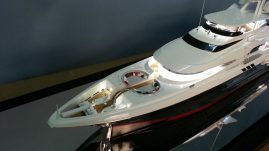 1 of 2 models made for the owner. 1:300 Scale Viking Star (Length: 76cm). 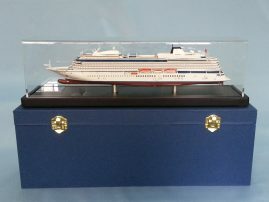 Made in a series for the Cruise Line to celebrate the launch of the new vessel. 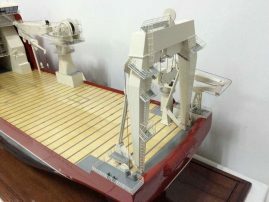 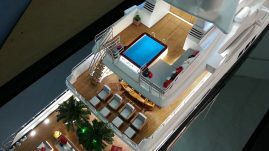 Even in this small scale, we have included interior details to all the main areas on the upper decks. 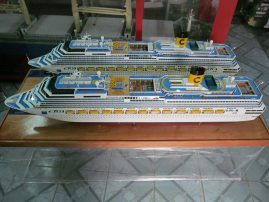 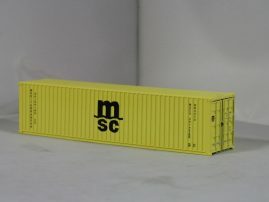 1:50 Scale P1775 OSV (Length: 130cm). 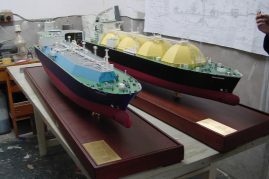 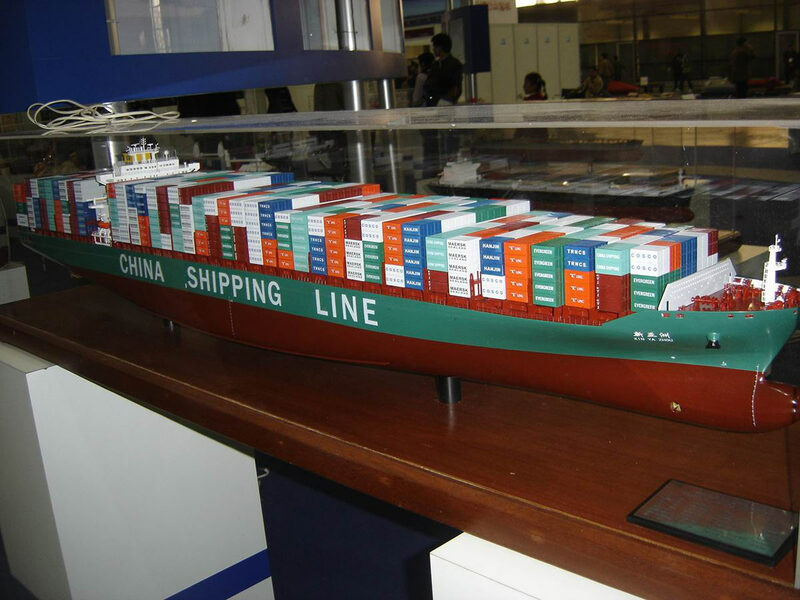 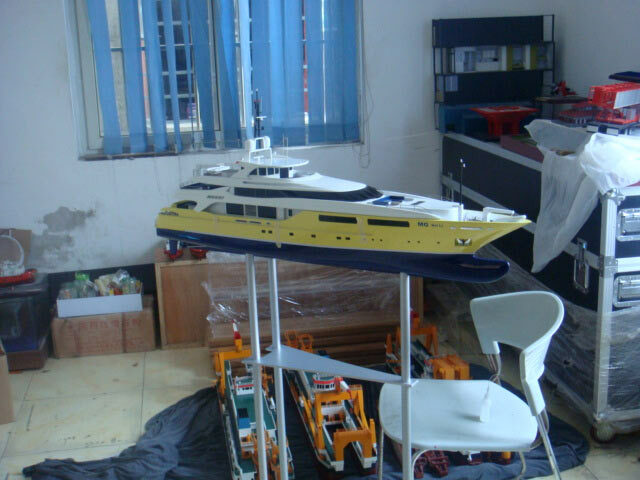 Made for the Shipyard and Operator for office and exhibition display. 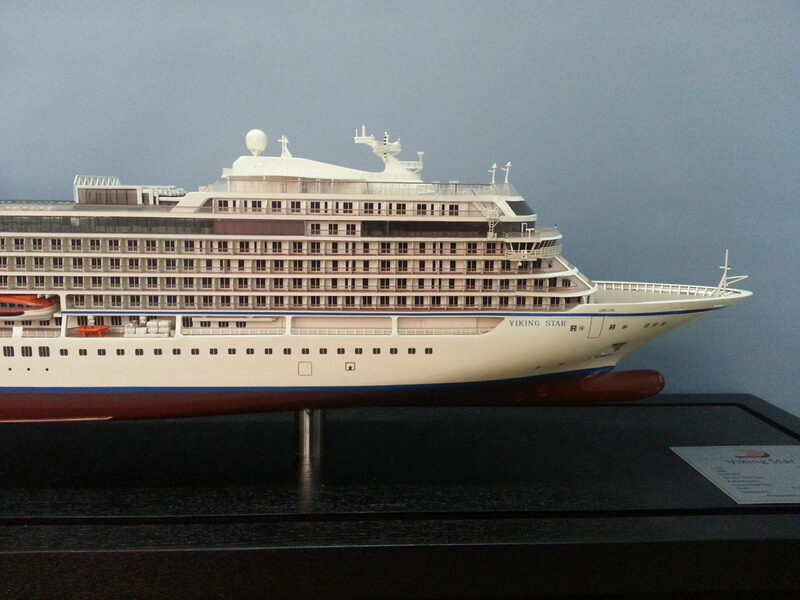 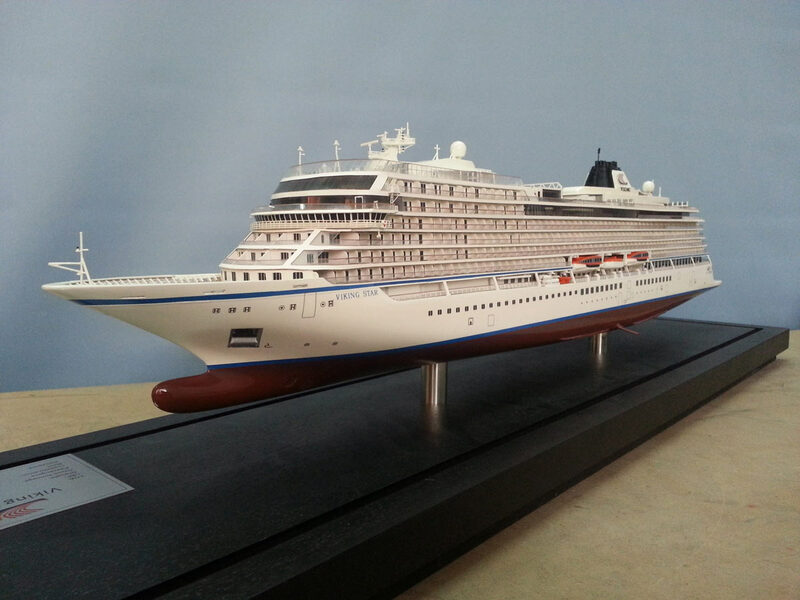 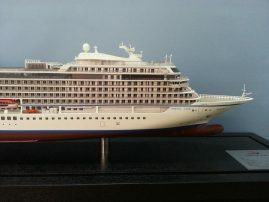 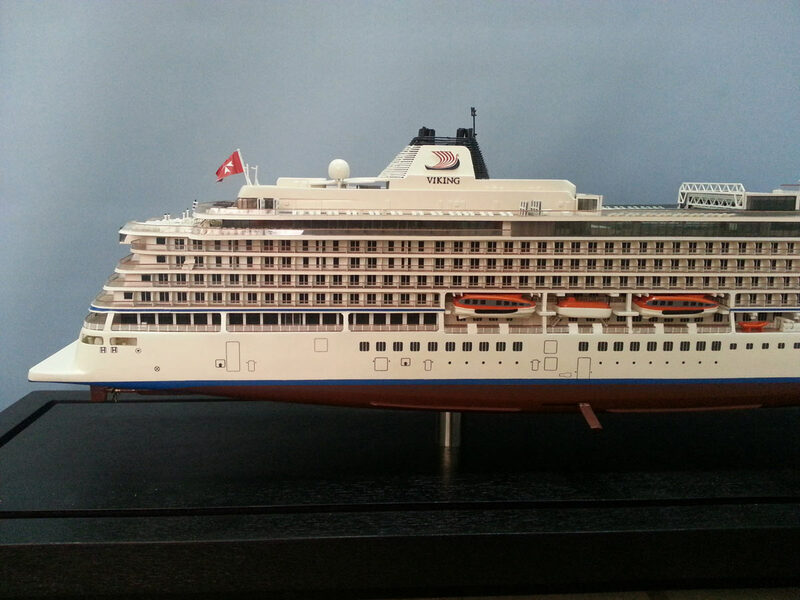 1:700 Scale Viking Star (Length: 32.6cm). Small scale all resin basic model made in production runs, made for marketing and on board customer retail. 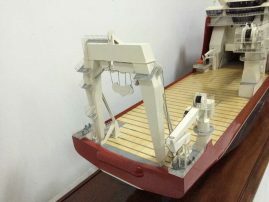 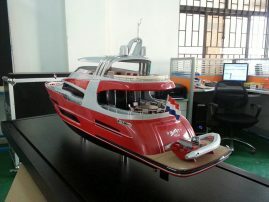 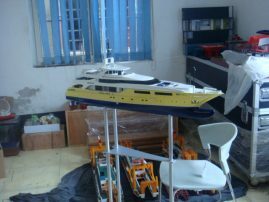 1:75 Scale 80m Concept Yacht. 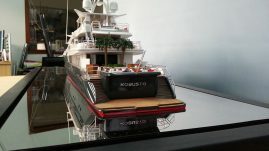 Made for a client for display at the annual Monaco Yacht Show.